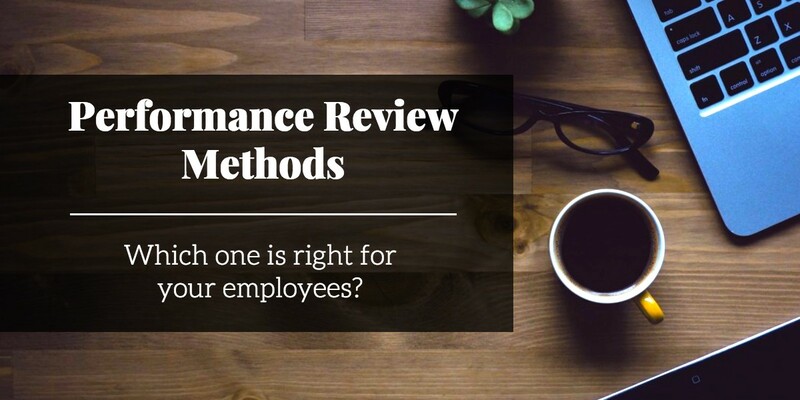 Performance review methods: Which one is right for your employees? But while formal review processes may have fallen out of vogue at some well-known companies, they’re here to stay for most industries, at least for the foreseeable future. That’s because, no matter how the process gets handled, employees need thoughtful feedback to motivate them and help them improve their job performance. This method can be a good way to create objectivity when there are multiple employees at different levels of experience, or with different job descriptions. Each employee works with management to set individual performance objectives for a given period of time, which allows for customizable goals, and for both parties to clearly define what success looks like. Rating this success can either be based on yes/no (employee met goal or didn’t), or can incorporate degrees of completion. The major pitfall of this method happens when goals are ill-defined, or when the time period is too long. If a goal is set in January and not evaluated until December, in most cases, an employee’s focus will have shifted away from the original objectives. That’s why it’s best to create highly-specific goals and keep the time period short. Managers should plan to go through this process about every month or so for it to be most effective. To conduct a 360 degree review, managers need to get feedback from multiple parties, including supervisors, direct reports, and coworkers at the same level in the company. This method requires quite a bit of management in order to be useful, but it can give a more complete picture of an employee’s perceived performance from various angles. When using this method, it’s important to be sure that the questions are as job-specific as possible to minimize the threat of coworkers’ personal feelings skewing the results. Anonymity is also a good idea when using this method; peers and reports are more likely to give honest responses if they don’t feel subject to retaliation for any critical feedback. Rating scales are commonly used in performance reviews, because they allow for one single set of criteria to use for multiple employees, and because they’re pretty easy to administer. Using a set of criteria, employees are given a score (often on a five-point scale) to indicate their performance on various job tasks. This can be in the form of a matrix, a number, or a series of descriptive statements about employee performance on various elements of the job. While this method is less onerous to manage than some other methods, it is prone to a lot of subjectivity and bias. There is evidence that managers don’t do well with making distinctions between performance levels. When unsure about how to score an employee, managers tend to default toward middle ratings, or to drift upward. One simple way to counteract the tendency toward the middle: opt for an even number of scores (either four or six are manageable), so employee performance scores will always fall above or below a midpoint. Unless it’s accompanied by significant documentation to support scores, this feedback can reflect a manager’s perception of an employee (potentially colored by personal feelings). It can also suffer from the recency effect— the human tendency to focus on things that have happened in the recent past. To make this method meaningful, managers should keep documentation throughout the review period, and keep the time between reviews shorter (maybe once a quarter instead of once a year). The critical incidents method of evaluating employee performance involves identifying and recording employees’ successes and struggles as they arise. It can be time-consuming and demanding of management, because incidents need to be documented as soon as they’ve happened in order for the information to be reliable and useful. For it to work well, managers also have to observe and be attuned to their employees’ behavior in various situations. The freeform nature of the critical incidents method means that it may need to have some structure imposed, such as more frequent meetings. It’s wise to meet monthly or quarterly instead of annually to discuss incidents and identify any patterns that emerge. While it’s not the most convenient of the methods, it’s a great way to provide specific, timely feedback to guide employee growth. Self-evaluation can be particularly useful for two reasons: employees have to take time to evaluate themselves, and managers get to see how employees understand their own performance. An employee’s perception of their job skills can help managers to calibrate their own language and responses, and can serve as a great starting point for providing feedback. It gives managers a more complete picture than pure observation alone could provide. While this can be a good reflection tool for employees and managers, it works best when paired with another evaluation method. Employees are likely to try to emphasize their accomplishments and downplay their shortcomings, so their responses should be used in conjunction with more objective information about their performance to give them a more complete picture of their overall job performance. This method has, at various points in the past few decades, risen to and fallen from favor. It involves ranking employees from best to worst based on specific criteria, and works best in a workforce where tasks can be objectively quantified. GE famously used this method under Jack Welch’s leadership; in their case, the highest-ranking 20% (“A players”) were rewarded, while the lowest-ranking 10% employees (“C players”) were usually fired. GE has publicly abandoned this method, but it remains popular among many Fortune 500 companies. Using ranking to compare employees is controversial, and it’s certainly not appropriate in all contexts. It tends to breed competition between employees, which can be motivational for people working in sales. However, it may be toxic for roles that require collaboration between peers. Companies using this method should evaluate it closely to decide whether it’s an appropriate choice to help get the best performance out of employees, or whether it should only be used in certain departments. While the methods above are among the most common, this list is by no means comprehensive; some companies use other methods like paired comparison, evaluation by essay, behavioral checklists, etc. If you’re in a position to make your own decisions about how to tackle employee reviews, take some time to think about which method is most comfortable and useful for you and your reports. The goal of a review should be to give your employees get useful, honest feedback about their job performance, and to encourage them to improve continually. Any method can be useful in the hands of a manager with a positive attitude and investment in the development of their employees. So Many Laws. So Little Time. Get the HR Laws Cheat Sheet. Subscribe to the Fuse Blog. Claim your free resources. Get great HR content in your inbox.